Two years ago, detective Mallory Black’s world was ripped to pieces when her daughter was murdered by a serial killer with an unspeakable fetish and the truly twisted desire to carry it out. Now the man who killed Mallory’s daughter is back, and if she doesn't act fast another child will die. Jasper Parish is a vigilante who punishes killers trying to escape traditional justice. Relying on the psychic visions of his daughter Jordyn, he wages war from the shadows, doing what the police can’t — or won’t — do. Two years ago, he failed to save Mallory Black’s daughter. Now is Jasper’s chance for redemption. Hero, killer, and vigilante are on a collision course in a world where there is no justice … unless you’re willing to risk everything to make your own. 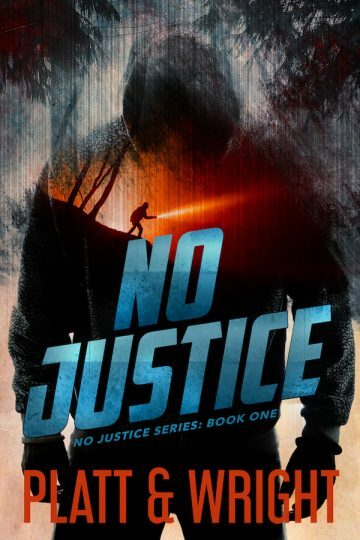 No Justice is the first in a pulse-pounding new series for fans of Dexter, Silence of the Lambs, and Seven.